THE WORKS RELATIVE TO THE PERUGIA-ANCONA ROAD AXIS START AGAIN. 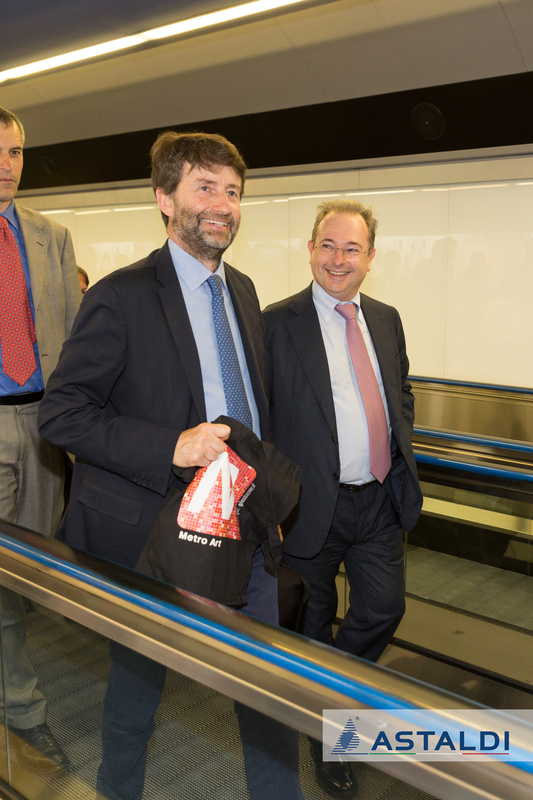 The Italian Prime Minister, Giuseppe Conte, and the Minister of Infrastructure and Transport, Danilo Toninelli, visited the construction sites of the Perugia-Ancona road axis which have been restarted after a slowdown phase that has been overcome. ASTALDI: THE COURT GRANTS REQUEST FOR COMPOSITION WITH CREDITORS ON A “GOING CONCERN BASIS”. Astaldi S.p.A. announces that a change in the Company’s voting rights took place pursuant to art. 127-quinquies of the consolidated finance act – TUF. This is to inform Shareholders that, based on available information, the Shareholders’ Meeting of Astaldi S.p.A. is expected to take place in second call on 28 June at 9:00 am, at the Company’s offices located at Via Giulio Vincenzo Bona 65, Rome. Pursuant to art. 129, paragraph 2, of CONSOB Regulation no. 11971 of 14 May 1999 (Issuer Regulation), Astaldi S.p.A. shall see to disclose to the public, at the same time as the publication in the newspaper Milano Finanza, an extract of the shareholders’ agreement related to the issuer. Pursuant to art. 2.6.2 of Borsa Italiana S.p.A. Rules and Regulations, Astaldi informs that the Board of Directors for the approval of the 2018 First Quarter Results will meet on May 15, 2018. Astaldi informs that the meeting of the Board of Directors for the approval of the 2017 Full Year Results will be held on March 15, 2018. Disclosure of 2018 financial calendar, according to Art. 2.6.2 of the Rules of the Markets organized and managed by Borsa Italiana S.p.A.
SIMEST has acquired an approximately 34% interest in the share capital of Astaldi Construction Corporation (“ACC”), a United States subsidiary of the Astaldi Group, active in building infrastructure since 1989. Astaldi S.p.A. announces that on 1 June 2017, a change in the Company’s voting took place as an effect of the accrual of the increased voting rights pursuant to art. 127-quinquies of the consolidated finance act – TUF. The Astaldi Group has been awarded the works to updgrade a section of the E-59 Warsaw-Poznań railway line (Lot IV). 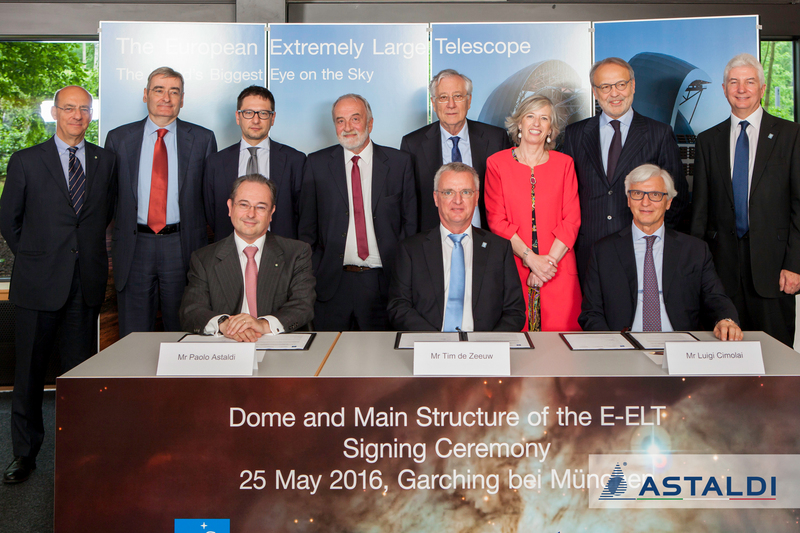 The contract amounts to EUR 82 million, with Astaldi leading a joint venture with a 95% share. Astaldi S.p.A. (the “Company”) announces the closing and settlement of the issue of senior unsecured equity linked notes with 7 year maturity due in 2024 (the “New Notes”) took place. Astaldi Group has been awarded, in a joint venture, a contract to upgrade a section of the N-7 Warsaw Wschodnia Osobowa-Dorohusk railway line. The value of the contract is EUR 171 million, of which 65% pertaining to Astaldi. Astaldi informs that, as part of a joint venture, has been awarded the contract in Romania for the rehabilitation of the Frontieră-Curtici-Simeria railway line, called Lot 3. The value of the contract is approximately EUR 600 million of which 49.5% pertaining to Astaldi. 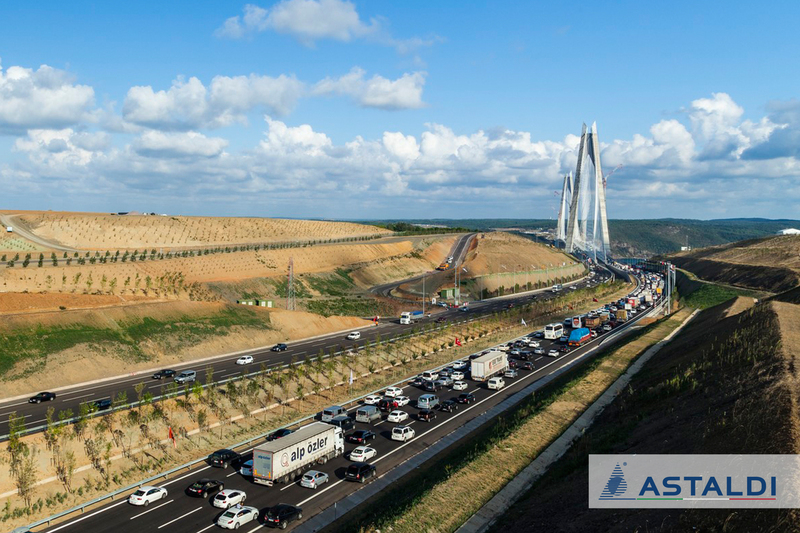 The Astaldi Group informs that the SPVs of two major concession projects in Turkey, the Third Bosphorus Bridge and the Gebze-Orhangazi-Izmir Motorway, have collected the minimum guaranteed revenues for the first operation period ended December 2016. The first run of rock blasting has officially marked the start of the works to build the Mules 2-3 Lot of the Brenner Tunnel. 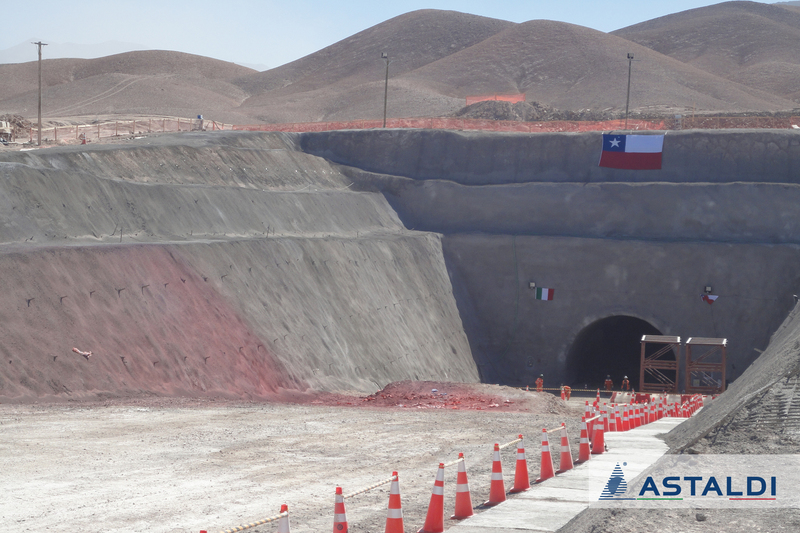 The Astaldi Group has been awarded by CODELCO a new US$ 460 million contract for the extension in Chile of the Chuquicamata Underground Mining Project. This award was through a competitive bidding process among local and international companies. Milan, 10 May 2016 – The Board of Directors of Astaldi S.p.A chaired by Paolo Astaldi, met today to examine and approve the Group’s 2016-2020 Strategic Plan and Interim Report on Operations at 31 March 2016. Rome, 28 April 2016 – Astaldi S.p.A., announces that the meeting of the Board of Directors to examine and approve the Interim Report at 31 March 2016, initially scheduled for 13 May 2016, will take place Tuesday, 10 May. 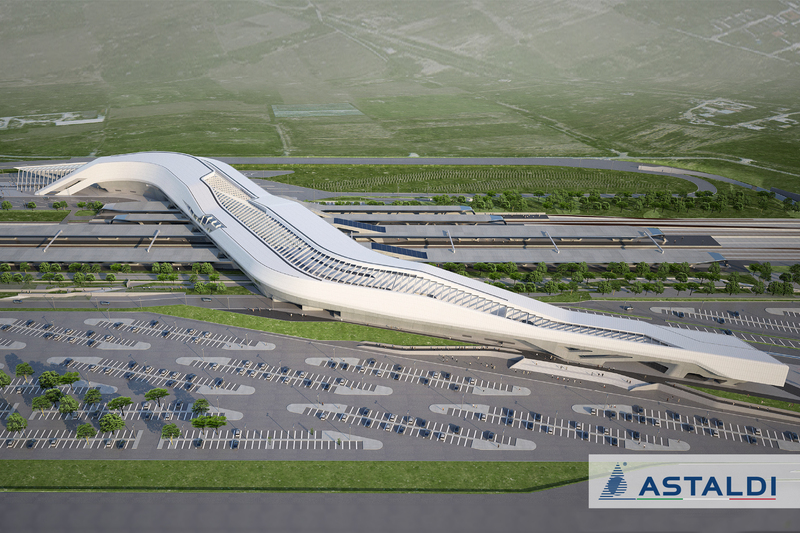 Rome, 18 April 2016 – Astaldi announces it has acquired, in joint venture, a contract in Romania for the construction of the Brasov–Oradea motorway. The works to be performed are worth approximately EUR 100 million (Astaldi Group: 48.5% stake). 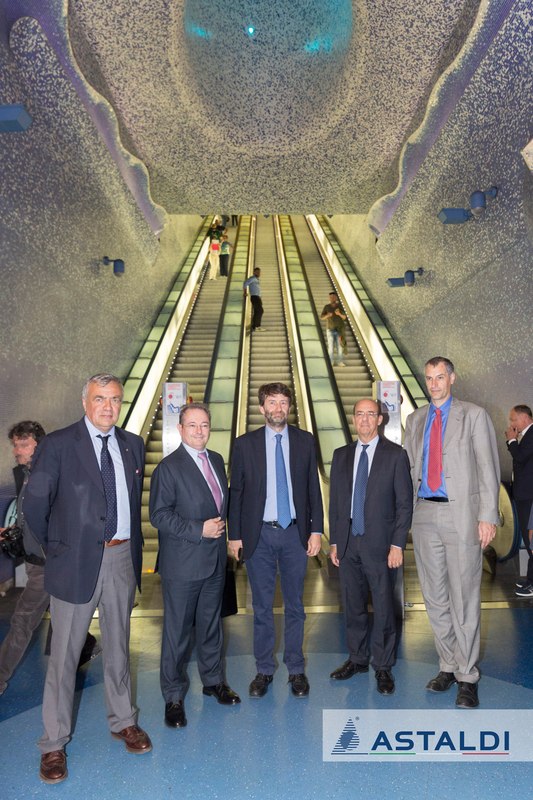 New Line 5 of the Milan Underground awarded the "Transport Deal of the Year 2015"
Line 5 of the Milan Underground awarded the PFI Award - Transport Deal of the Year 2015, promoted by Thomson Reuters Project Finance International Magazine. Astaldi Group has acquired the contract to perform the Alto Piura Hydro Project, in Peru. The contract value amounts to approx. EUR 110 million, with a 51% Astaldi stake. The Astaldi Group has been awarded a EUR 209 million contract to extend Line 2 of the Warsaw metro in Poland. This comes on the heels of Astaldi’s construction of the same line’s central section, a work the Group completed in March 2015. The Astaldi Group, in joint venture, has been awarded two contracts to carry out the first two phases of the Upper Cisokan Hydroelectric Power Plant Project on the Island of Java, in Indonesia, for a total value equalling US$ 234 million, with Astaldi accounting for 30%. 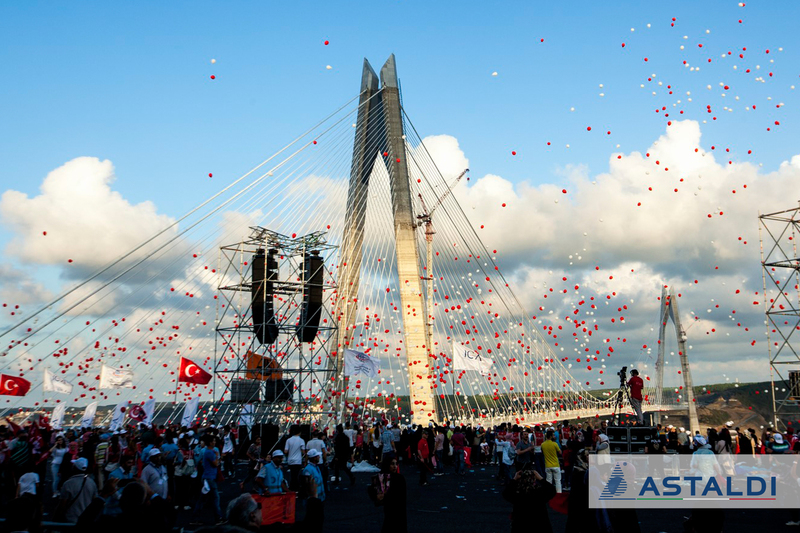 ASTALDI, SHAREHOLDERS’ MEETING APPROVES 2014 FINANCIAL STATEMENTS AND RENEWS BOARD OF AUDITORS. The Board of Directors of Astaldi, chaired by Paolo Astaldi, met today to decide to submit to the next Shareholders’ Meeting, to be called by 31 January 2015, the introduction of increased voting rights. The Astaldi Group has won a new road contract in Poland, amounting to € 85 million. The works involve the enlarging and modernizing of 14 kilometres of NR-8 Breslava-Varsavia-Białystok, for the section between Mężenin and Jeżevo (from Km 601+700 to Km 615+960.85). Astaldi informs that the Interim Report at September 30 2014 has been filed, both at the Company’s Offices and at Borsa Italiana S.p.A., where it is available for consultation. 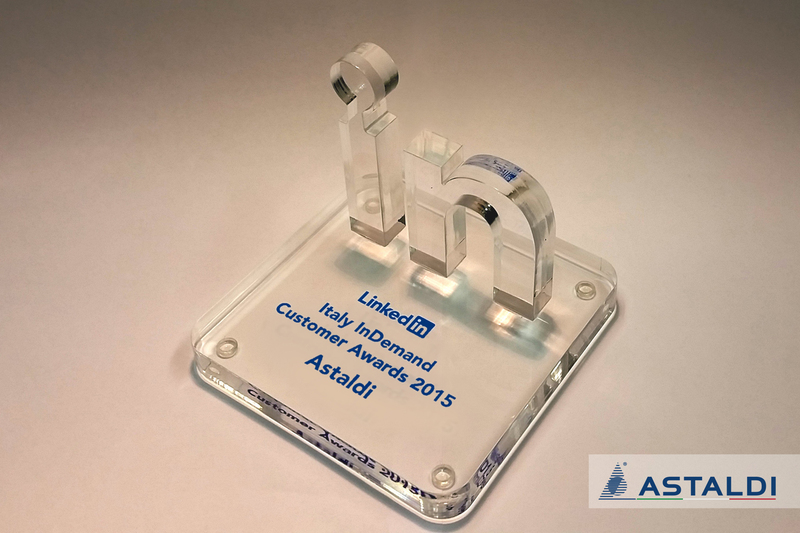 Astaldi has signed a 5-year € 500 million revolving loan contract with a pool of leading Italian and foreign banks. The contract, which pays off an existing € 325 million revolving loan coming due in 2016, will be used to cover the Company’s general needs. The Astaldi Group has been awarded a EUR 71 million contract (Astaldi with a 48.55% stake) to reclaim the industrial area of the former petrochemical complex in Porto Torres, Sardinia. The Client is Syndial, an ENI Group Company operating in the field of environmental remediation. Today,the Board of Directors of Astaldi S.p.A., presided by Paolo Astaldi, following the proposal of the Appointments Committee, has appointed Piero Gnudi to replace the Board member Guido Guzzetti, who retired the last August 1st. Astaldi informs that the First Half Financial Report as of 30 June 2014 has been filed, both at the Company’s Offices and at Borsa Italiana S.p.A., where it is available for consultation. Astaldi informs that the minutes of the Shareholders’ Ordinary and Extraordinary Meetings of April 30 2014 are also available to the public at the Company’s Offices, at Borsa Italiana S.p.A. and on the Company’s website: www.astaldi.com. Astaldi informs that, due to organizational needs, the Meeting of the Board of Directors for the approval of the 2013 Full Year Results, previously scheduled for March 14 2014, will be hold on March 28 2014. Astaldi S.p.A. (the “Issuer” or “Astaldi”) announces that today it has successfully priced an offer of additional €150,000,000 Senior Notes due 2020 (the “Additional Notes”), at an issue price of 105.000%, with a fixed coupon of 7.125% per annum and a yield to maturity of 6.210%. Astaldi S.p.A. (the “Issuer” or “Astaldi”) announces the offer of additional €100,000,000 Senior Notes due 2020 (the “Additional Notes”). 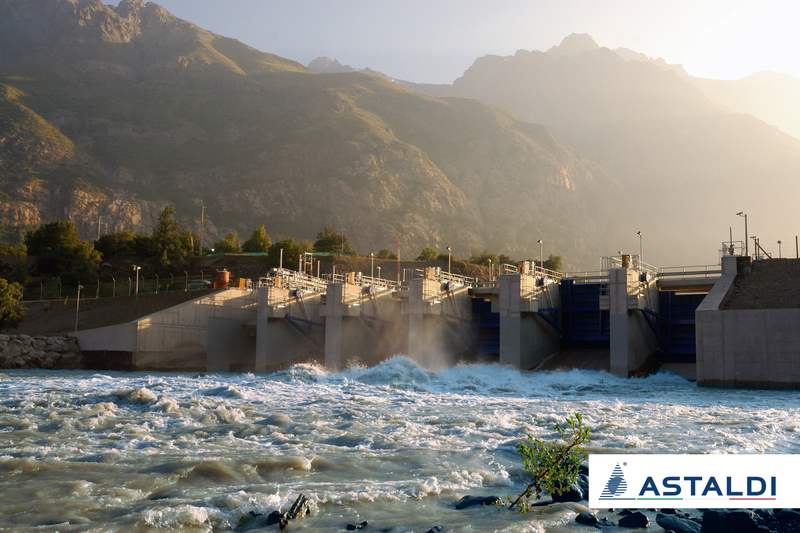 The Astaldi Group announces it has successfully closed the refinancing of the concession project for the Chacayes hydroelectric power plant (111MW) in Chile. The project finance loan comes to US$ 340 million, with a term of 14 years. Today, following the financial closing, the city of St. Petersburg and Northern Capital Highway (NCH) have finalized the concession agreement relating to the project for the completion of the WHSD (Western High-Speed Diameter) – the city’s ring road. FORECAST REVENUES OF APPROXIMATELY EUR 2.5 BILLION. REVENUES OF EUR 4 BILLION, AVERAGE ANNUAL GROWTH OF +9%. NET PROFIT OF OVER EUR 170 MILLION, + 18%. Astaldi Group has purchased T.E.Q., the Canadian company working in the construction and project management sector, thus consolidating the Group’s recent commercial entry into the Canadian area. The purchase price was 2 million CAD. The Astaldi Group has won the contract to build a plant to produce energy by transforming the urban solid waste of Poland’s Bydgoszcz-Torun metropolitan area, for a total value of EUR 95 million (with a 51% stake, Astaldi is the initiative’s leader). The Board of Directors of Astaldi S.p.A., chaired by Paolo Astaldi, met today to approve Astaldi Group’s Consolidated Half-Yearly Financial Statements at 30 June 2012. Astaldi informs that, due to organizational needs, the Meeting of the Board of Directors for the approval of the 2012 First Half Results, previously scheduled for August 3rd 2012, will be held on August 1st, 2012. 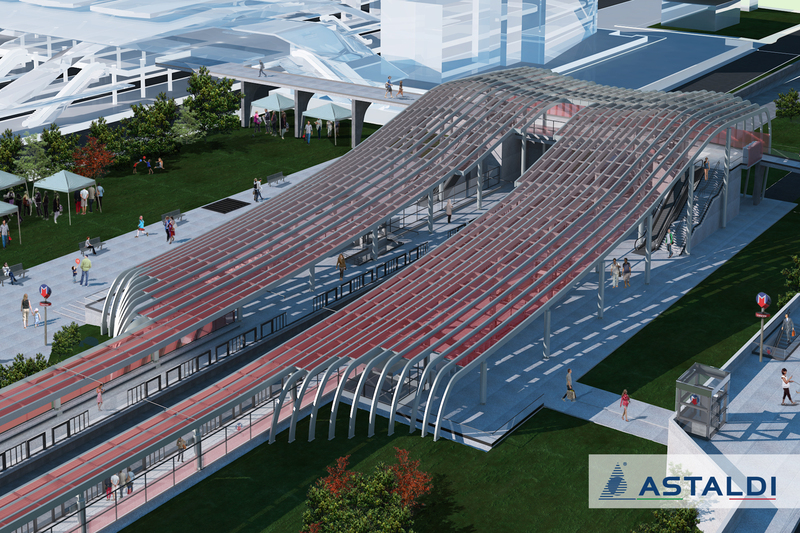 Astaldi Group has been awarded the contract to design and construct the new “Magistrala” Line 4 of the Bucharest Underground in Romania, worth a total of EUR 164 million (Astaldi leader, with a 40% stake). In reference to the latest performance of its share price, Astaldi is not aware of any element that could explain such performance. Furthermore, rumors about transactions on share capital aimed at strengthening the capital structure are groundless. Astaldi informs that, due to organizational needs, the Meeting of the Board of Directors for the approval of the Consolidated Results at 31 March 2012, previously scheduled for May 11 2012, will be held on May 7 2012. Astaldi informs that, due to organizational needs, the Meeting of the Board of Directors for the approval of the Consolidated Results at 31 December 2011, previously re-scheduled for March 15 2012, will instead be held on March 16 2012. Astaldi informs that, due to organizational needs, the Meeting of the Board of Directors for the approval of the Consolidated Results at 31 December 2011, originally scheduled for March 16 2012, will be anticipated to 15 March 2012. Astaldi informs that, due to organizational needs, the Meeting of the Board of Directors for the approval of the Interim Report on Operation at 31 December 2011, originally scheduled for February 10 2012, will be held on 9 February 2012. 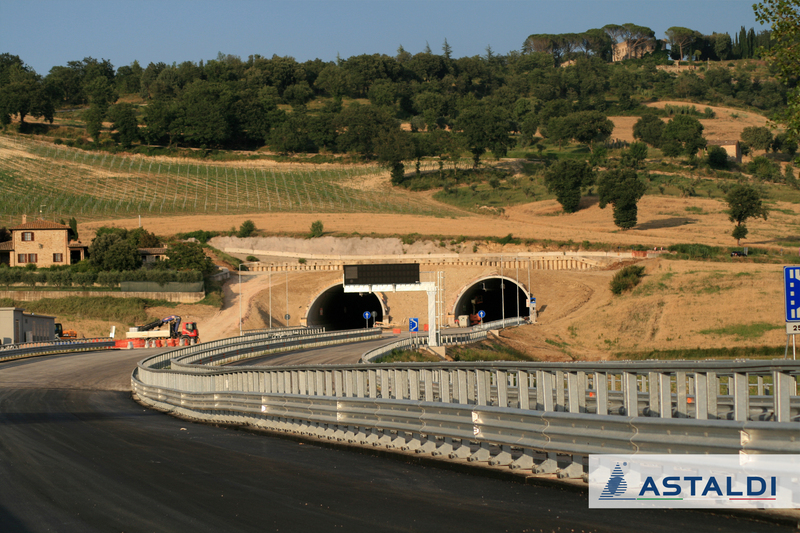 Astaldi Group, as leader of the Astaldi S.p.A. - Impregilo S.p.A. joint venture (in which Astaldi holds a 60% stake), has been awarded the general contracting project to construct Mega-Lot 3 of the Jonica National Road (NR-106) in Italy, worth a total of EUR 791 million. Astaldi, in joint venture at 33.33% with Impregilo and Ghella, has signed with IFE (the Venezuelan Railway Institute) an increase of contract for the completion of the Puerto Cabello-La Encrucijada railway line, which is already at an advanced stage of completion by the same JV. Astaldi, in a joint venture with the Peruvian Group GyM - Grana y Montero S.A., has been awarded the US$ 680 million contract for developing the Cerro del Águila hydroelectric project in Peru. 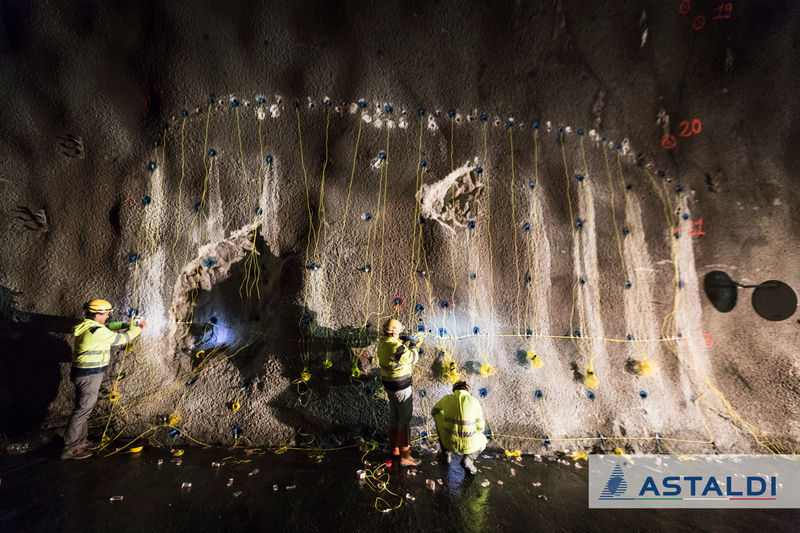 The Astaldi Group has been awarded the contract – worth an equivalent of EUR 70 million – to carry out the civil works for the Santa Teresa underground hydroelectric plant, located in Peru’s Machu Picchu Region. Astaldi informs that, due to organizational needs, the Meeting of the Board of Directors for the approval of the 2011 Third Quarter Results, originally scheduled for 9 November 2011, will be held on 11 November 2011. Astaldi informs that the Astaldi S.p.A.’s Interim Report at 31 March 2011, has been filed both at the Company’s Offices and at Borsa Italiana S.p.A. where it is available for consultation. The Report is also available on the Company’s website: www.astaldi.com. The Board of Directors of Astaldi S.p.A., chaired by Paolo Astaldi, met today to approve the draft parent and consolidated financial statements for the financial year 2010. 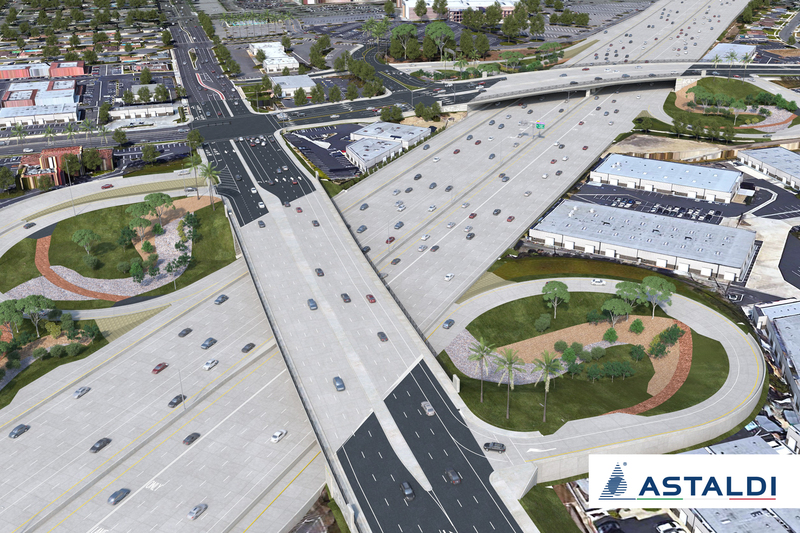 The Astaldi Group has been awarded the USD 37 million contract to modernize and enlarge the motorway junction located on SR-862/I-595, in Florida, in the United States. Astaldi S.p.A. informs that the Board of Directors held on November 10, 2009 approved the following corporate events calendar for 2011. The Astaldi Group has been awarded with a contract of a value of US$ 282 million (95% as Astaldi's share) for the construction of the Chacayes dam, in the valley of Cachapoal river, in Chile. The Board of Directors of Astaldi, during today’s meeting chaired by Vittorio Di Paola, approved the consolidated results at June 30, 2008. The Board of Directors of Astaldi S.p.A., chaired by Vittorio Di Paola, has examined and adopted a new Business Plan for the five-year period 2008-2012. The Board of Directors of Astaldi, in today's meeting chaired by its Chairman, Vittorio Di Paola, examined 2007 draft financial statements. The Board of Directors of Astaldi, in today's meeting chaired by its Chairman, Vittorio Di Paola, approved the Astaldi Group's consolidated quarterly results and examined the preliminary 2007 annual data. The Shareholders of Astaldi S.p.A., during the ordinary session of the meeting held on today’s date and chaired by Prof. Ernesto Monti, approved the financial statements as at December 31, 2006, as proposed by the Board of Directors. The Board of Directors of Astaldi S.p.A., chaired by Prof. Ernesto Monti, examined and approved the new Business Plan relating to the five-year period 2007-2011. Astaldi, as a partner of a joint venture, has been awarded the contract for the rehabilitation and modernization of the “Lia Manoliu” National Stadium in Bucharest, for an amount of Euro 120 Mln (Astaldi' share: 40%). The Board of Directors of Astaldi S.p.A., chaired by Prof. Ernesto Monti, approved today the quarterly report as at December 31, 2006 and examined the consolidated results of 2006. The Board of Directors of Astaldi S.p.A., chaired by Prof. Ernesto Monti, today approved the quarterly report at September 30, 2006. The Shareholders’ Meeting of Astaldi S.p.A. today approved the proposed free share capital increase from €98,424,900 to €196,849,800 to be performed by increasing the nominal share value from €1.00 to €2.00. A new railway work worth 1.7 billion dollars will be assigned to the Italian joint venture Astaldi-Ghella-Impregilo (each with equal stakes of 33.33%) by the Government of Venezuela. The Board of Directors of Astaldi S.p.A., chaired by Ernesto Monti, has approved Astaldi Group’s half-yearly report at June 30, 2006 which closed with a net profit of €17.5 million, in line with the last year’s result for the same period. The joint venture involving Astaldi, Ghella and Impregilo has signed two contracts worth a total 2.2 billion dollars with the Bolivarian Republic of Venezuela’s autonomous State Railways (IAFE). The Board of Directors of Astaldi S.p.A., chaired by Ernesto Monti, examined and approved the consolidated results of Astaldi Group at March 31, 2006. The Shareholders’ Meeting of Astaldi S.p.A., chaired by Mr. Ernesto Monti, met today, in first call, to approve the 2005 financial statements and examine the 2005 consolidated financial statements. The Board of Directors of Astaldi S.p.A., chaired by Ernesto Monti, has examined and approved the new Business Plan for 2006-2010. Astaldi, in a joint venture with Impregilo and Ghella, is to build two new railway lines in Venezuela valuing a total of US$ 2.2 billion. The Board of Directors of Astaldi S.p.A., chaired by Mr. Ernesto Monti, met today in Rome to examine the 2005 financial statements and approves the 2005 consolidated financial statements. Final awarding of the contract with SNTF, the Republic of Algeria’s national railway company, to Astaldi Group has been made official. Astaldi, as mandatary and leader of the group of companies also consisting of Vianini Lavori, Consorzio Cooperative Costruzioni and Ansaldo Trasporti Sistemi Ferroviari, won the contract for the construction in General Contracting of the Rome Underground Line C.
The Board of Directors of Astaldi S.p.A., chaired by Prof. Ernesto Monti, met today in Rome to approve the Quarterly Report at December 31 2005 and to examine the consolidated results of 2005. Astaldi S.p.A. informs that the Meeting of the Board of Directors for the approval of the 2005 Fourth Quarter Results, originally called for February 13th, will be held on Friday, February 10th 2006. Following the changes to the Company’s By-Laws ratified by the Shareholders’ Meeting today, the Board of Directors has approved a further strengthening of the Company’s top management team. The Astaldi Group was provisionally awarded the contract with SNTF, the national railway company of the Republic of Algeria, to build the new Mecheria-Redjem Demouche railway line totalling approximately 166 million euros. The Board of Directors of Astaldi S.p.A., chaired by Prof. Ernesto Monti, met today to examine and approve the Group’s consolidated results for the third quarter and first nine months of 2005 which showed a considerable increase in economic margins. Astaldi announces that due to organizational reasons the Meeting of the Board of Directors for the approval of the 2005 Third Quarter Results, originally called for November 10th, has been rescheduled to November 11th. Meeting today, the Board of Directors of Astaldi S.p.A., chaired by Prof. Ernesto Monti, examined and approved the Group’s consolidated results as of 30 June 2005, which confirm the positive achievements made in 2004 in terms of volume of business, and record improved margins. 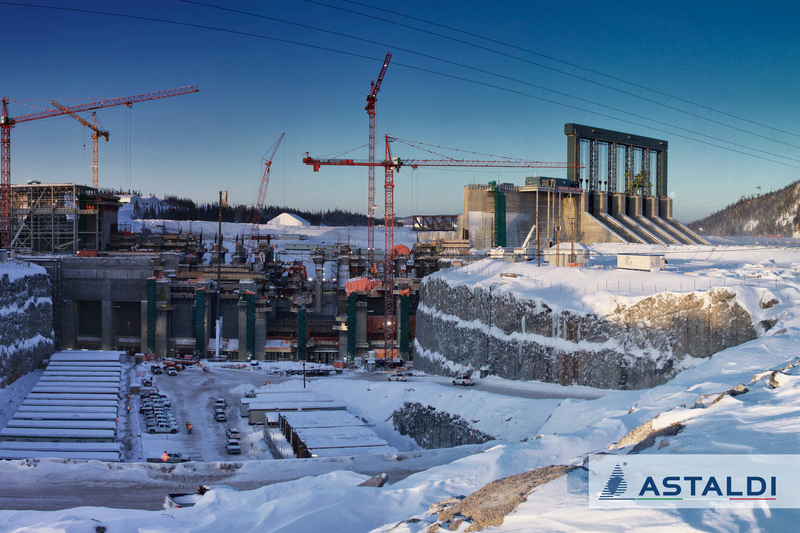 Aem Torino and Astaldi have resolved all the disputes as to the construction of the Pont Ventoux-Susa Hydroelectric Plant through an out-of-court settlement. 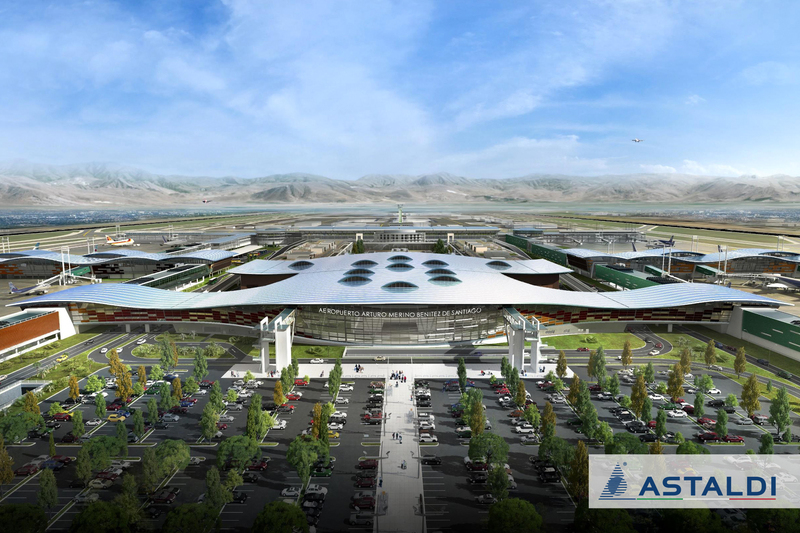 Astaldi expands its presence in Algeria with new orders totaling 131 million euro. The Italian Company was awarded the contract for the construction of the Kerrada dam (contract value: 76 million euro) and the Jijel road tunnel (contract value: 10 million euro). 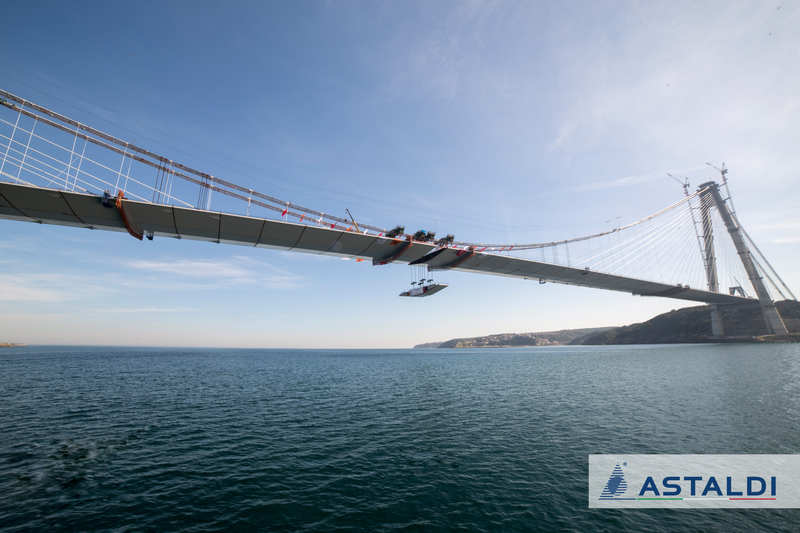 The Group of companies led by Astaldi, including Ferrovial Agroman, Vianini Lavori, Maire Engineering, Grandi Lavori Fincosit and Ghella, has submitted the bid relating to the tender for the construction of the Bridge over the Messina Strait. With reference to the news published today by an Italian financial newspaper regarding the intention of Astaldi to launch a public offer to buy/exchange on Impregilo, the Company states that the reported news are unfounded. 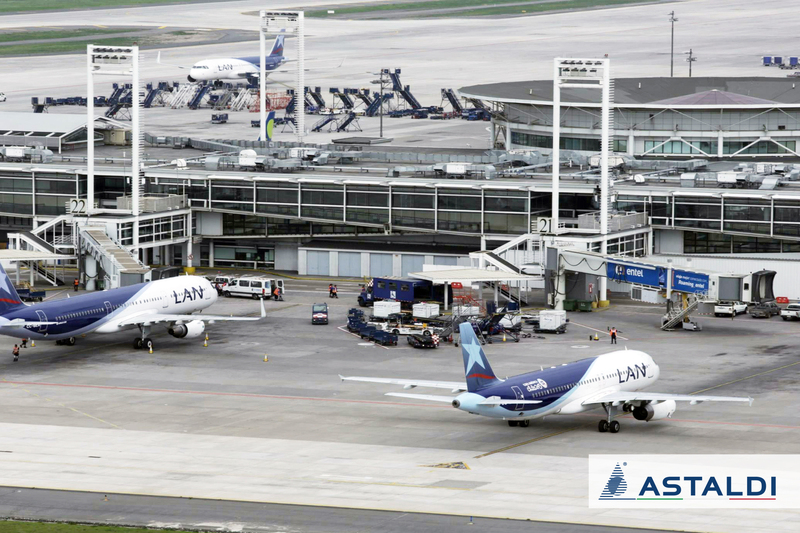 Today the Board of Directors of Astaldi S.p.A. has examined and approved the 2005 Consolidated First Quarter Results. 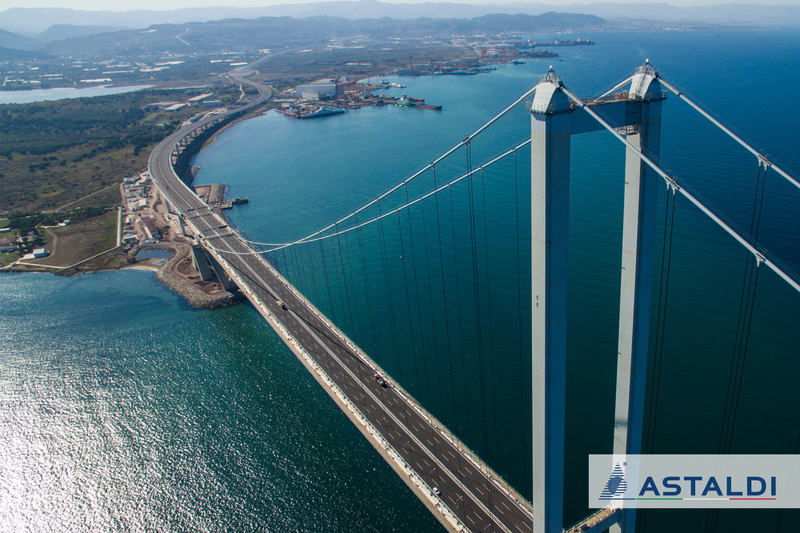 As regards to press rumors published in the last days, Astaldi confirms that the Spanish Companies Necso and Ferrovial, initially prequalified in the consortium with Astaldi as leader, will not participate to the tender for the construction of the Bridge over the Messina Straits. Today Astaldi, represented by the Vice-President Paolo Astaldi, has received the Samoter 2005 International Prize as a recognition for having contributed in further establishing the Italian presence and brand in the world. The Astaldi Shareholders Meeting, chaired by Ernesto Monti, has approved the financial statements for 2004 and has reviewed the 2004 consolidated financial statements. The Board of Directors of Astaldi S.p.A., chaired by Prof.Ernesto Monti, that has met today in Rome, has approved the quarterly report for the period ended on 31st December 2004 and has examined the consolidated results for the entire 2004 financial year. ANAS awarded at interim to Astaldi, as group leader of Astaldi S.p.A.-Ing. Nino Ferrari S.p.A., 800 million euros worth of contracts for road construction works on the two lots of the Strada Statale Jonica. The Board of Directors of Astaldi S.p.A., chaired by Mr. Ernesto Monti, met today in Rome to approve the first half 2004 financial statements. The results confirm the growth targets contained in the Group Business Plan. 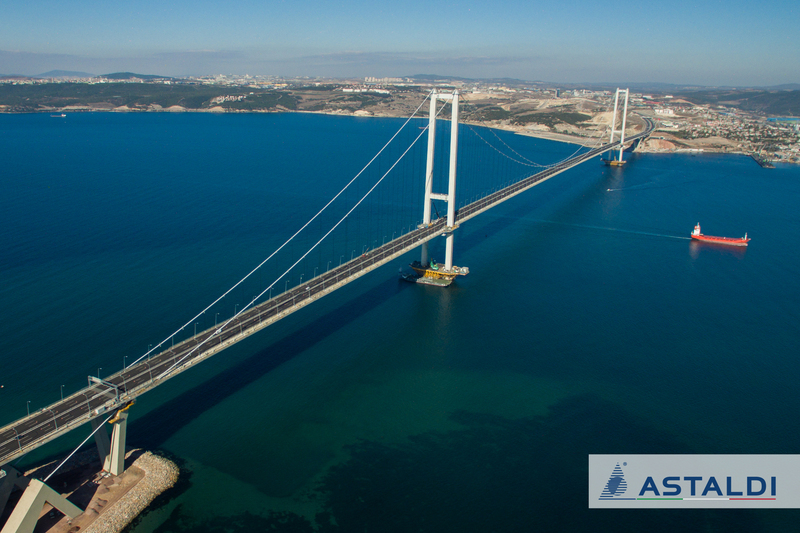 Astaldi S.p.A. is leading the formation of a group of companies that will participate in the tender for the construction of the Messina Straits bridge. The Board of Directors of Astaldi S.p.A. has examined and approved the consolidated results for the Group as at 31 March 2004, showing a significant increase in revenues and a more than 32% increase in net income as compared to the same period a year ago. The Astaldi S.p.A. Board of Directors, chaired by Mr. Ernesto Monti, met today in Rome to approve the fourth quarter 2003 report and to examine the 2003 consolidated results: net income grew around 48% and total revenues increased by more than 13%. Astaldi has closed 2003 with a consolidated net income growth of 49%, reaching more than €22 million, and with total revenues in excess of €920 million, an increase of more than 13% over 2002. The loan agreement has been signed between the Undersecretary of Treasury - Republic of Turkey and the foreign banks represented by MCC S.p.A. and WestLB AG (Milan) for a total amount of USD 305 million to provide the financial resources to complete the Gumusova-Gerede Motorway project. The Board of Directors has approved the quarterly report and has examined the preliminary results for the first half of 2003. For the transmission of the Regulated Information Astaldi uses SDIR-NIS, run by BIt Market Services S.p.A., a subsidiary of the London Stock Exchange Group. For the storage and filing of regulated information, Astaldi has adhered to the centralized storage device authorised by Consob called "1Info", which can be consulted on the website www.1info.it , and managed by Computershare S.p.A.